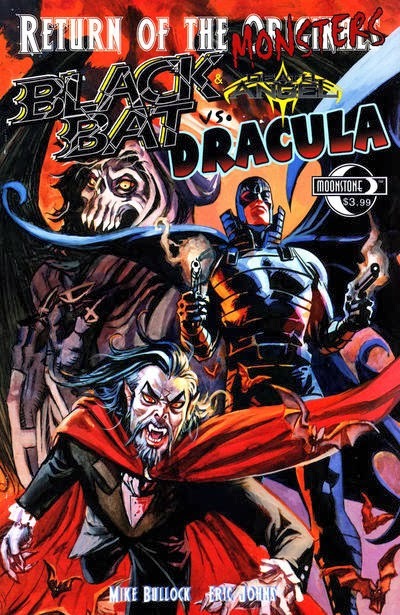 The Black Bat and Death Angel (an original vigilante created by writer Mike Bullock) vs. the Lord of the Vampires. 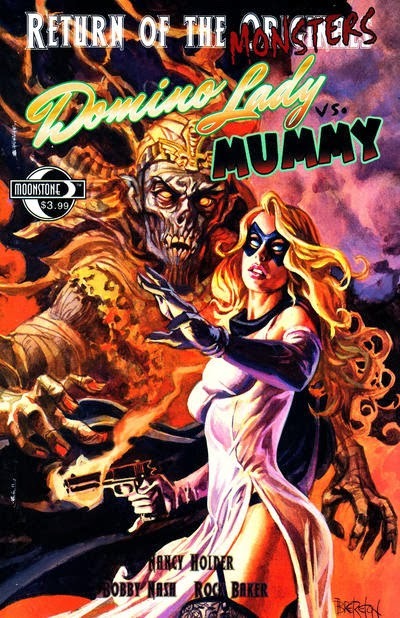 In this one, the Domino Lady refers to Ravenwood, an occult detective who had his own backup feature in the pulp Secret Agent X. 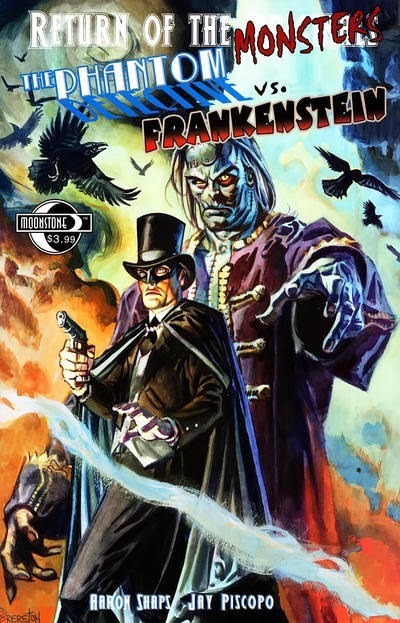 Besides the obvious featured characters, there are also references to other pulp characters: Donald Wandrei's scientific detective I.V. Frost, providing his first known link to the Crossover Universe; the aforementioned Domino Lady and Black Bat; and the Spider. 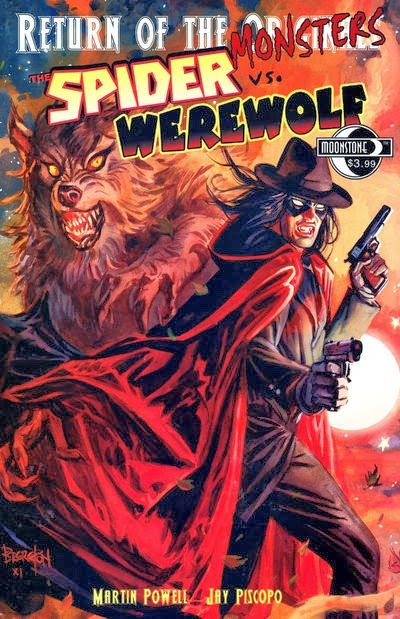 I look forward to reading about these in the new Crossovers!